The following board members were elected at the 2016 AGM. Once he returned from London he joined the newly formed South African chapter of Wikimedia. 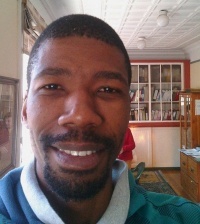 In 2012 Douglas helped organised Wikimedia South Africa's first large event, the South African component of Wiki Loves Monuments, the largest photographic competition in the world. Since then he as organised the 2013 and 2014 Wiki Loves Monuments competitions, oversaw the professionlisation of the chapter by hiring its first full-time employee, organised a number of edit-a-thons, and most recently the Wiki From Above photographic competition. He is always interested in projects that encourage more people to edit Wikipedia and contribute to Wikimedia Commons. He currently lives in Cape Town, South Africa and in his day job works in technology, data collection, and crime reduction. I am an Electrical Engineer by profession. The foregoing has given me the priveledge to work closely with some of the existing board members and ex-board members. I believe that the exposure and experience I have on Wiki projects, combined with my project management skills can be somewhat useful to the Wikimedia-ZA chapter. My passion is in the development of small language Wikis and attraction and retention of Editors in these wikis. I also have interest in GLAM activities within the Archives environment and hope to foster lasting ties between Wikimedia ZA and the National Archives and other heritage bodies. Deon is a professional technologist specialising in telecommunication. 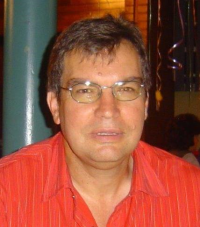 His passion is to contribute technical articles to the Afrikaans Wikipedia for use by students.